An electric concert of Ravel, Saint-Saëns, and Prokofiev featuring audience favorite Joshua Bell fittingly opened the BSO’s 76th Tanglewood Season yesterday. Jacques Lacombe, the former New Jersey Symphony director and newly named chief conductor at Bonn, presided at the podium. Stormy weather may have dampened the grounds and the bodies, but not the spirits, which felt celebratory and enthusiastic. The word that kept coming to mind was passion—passion for every note played and the great story told. Lacombe’s energetic and decisive gestures elicited sharp sounds from instruments nature had tried to muffle with hours of stifling humidity. His clear streamlined technique appeared at once angular and relaxed. 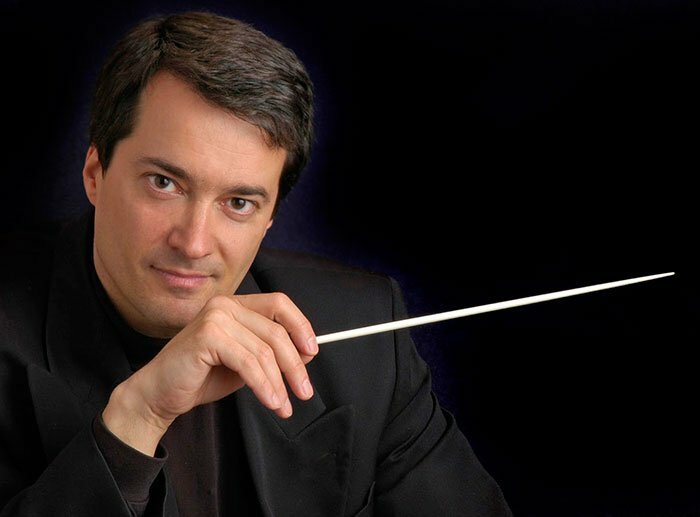 Conducting without a score (except for the concerto), Lacombe connected viscerally with the orchestra, and the audience reaped the sonic benefits. Ravel’s famous orchestration of his own virtuosic piano work Alborada del gracioso began with stellar playing all around. Orchestral sections interlocked seamlessly as they navigated in Ravel’s ever-shifting constellation of timbres and colors. Richard Svoboda shone in the featured bassoon solo, after which the whole piece built convincingly to the often-abrupt final ‘harumph’ from the trombones in the final chords. 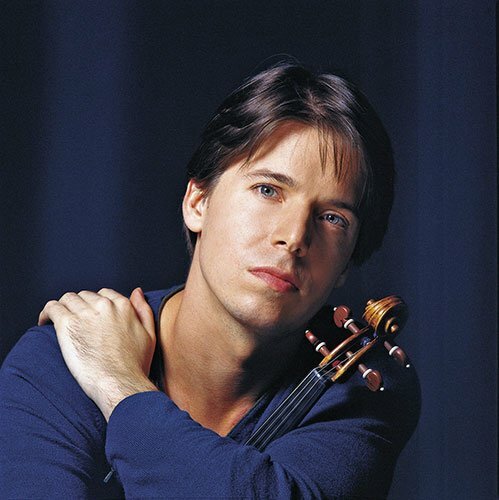 This explosion energized the stage perfectly for Joshua Bell’s dramatic emoting in Saint-Saëns’ Third Violin Concerto. Written during the same time period that saw the creation of the Organ Symphony and Carnival of the Animals, this concerto for the violin is definitely the best-known and -loved of the composer’s three. Bell gave the well-crafted melodies fire and passion, and the ensemble moved so organically through the classical structure that much of the first movement unfolded as one continuous phrase. The delicate second movement brought its own type of passion, but more self-consciously constrained, like a ballerina in a bell jar. In it, the solo violin frequently makes chamber music with the woodwinds to great effect. When the solo violin duets with a clarinet in an arpeggio figure (now harmonized), what had been a melodic feature since the first bars of the movement unites with the main theme for a surprise conclusion. The fiery finale began with a hyper-romantic soliloquy from the violin that becomes a tarantella with much interplay between soloist and orchestra. Bell’s high harmonics glistened in the gloomy night; the persistent raindrops outside were powerless to dampen his rich solo lines. It seemed the festive atmosphere would have warranted an encore, but when Bell returned for his third curtain call sans-fiddle, the audience took the hint. In the second half Lacombe led the BSO in one of the best performances of Prokofiev’s Fifth Symphony this reviewer has ever experienced—live or on record. Again he fully displayed his ability to craft long, organic lines, lending coherence and grace to the melodic strains which, while straightforward, often suffer disconnection from Prokofiev’s kaleidoscopically shifting orchestration. Not so here. His keen ear for balance and blend encouraged the long, muscular lines to soar and intermingle. Each movement disclosed a monumental statement rather than a series of disjunct vignettes. In the first movement, the two main themes supported and reinforced, rather than competed, with each other, and Lacombe capitalized on Prokofiev’s wondrous melodic syntax, where any turn of phrase could function as a myriad of punctuation. In this way he was able to knit the rich interplay of themes and phraselets into impressive shapes. The cooperation between orchestral sections continued into the second movement’s Allegro marcato, where an already angular and glib melody gets deconstructed, takes a side trip to Latin America, and builds an infernal machine, only to be reconstituted before a crushing close. Prokofiev’s slow movements often constitute extreme challenges not only for melodic continuity but also for intonation and balance. Accompaniment figures often surge into the stratosphere, and can steal the show, while at the same time being less than sonically edifying. Lacombe again crafted a clear musical meaning out of diverse and ever-shifting instrumentation, often seeming to correct minute errors before anything had even gone wrong. The orchestra was with him every step of the way. Asserting the positive in a symphony expressly written for that purpose, the rollicking optimistic finale became the crowning statement. Prokofiev’s endless melodic facility was on full display, and again the BSO balanced the work’s complexities to craft seamless, organic connections rarely heard even in studio recordings. If last night’s opening concert was any indication of what’s in store this summer, Tanglewood audiences can expect many treats.